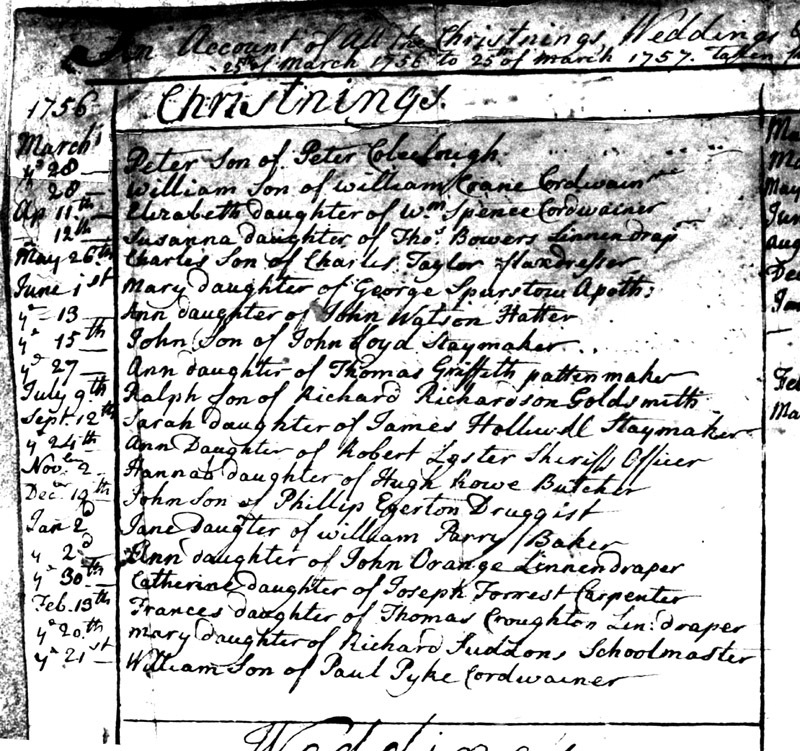 Copy of the christening record for Mary Spurstow, daughter of George Spurstow, Apothecary and Elizabeth Hayes. She was christened on 1 June 1756 in St. Peter's Church in Chester, Cheshire, England. Mary later married William Miller of Liverpool. Bishop's Transcripts: St. Peter's Church, Chester, Cheshire, England, 1600-1879, FHL MF 1655592, item 2.